Honda introduced the BR-V SUV in the Indian market on May, with an early appearance made at the 2016 Auto Expo. Based on the same platform as the Mobilio, the BR-V is the first among compact SUVs to offer seven seats. 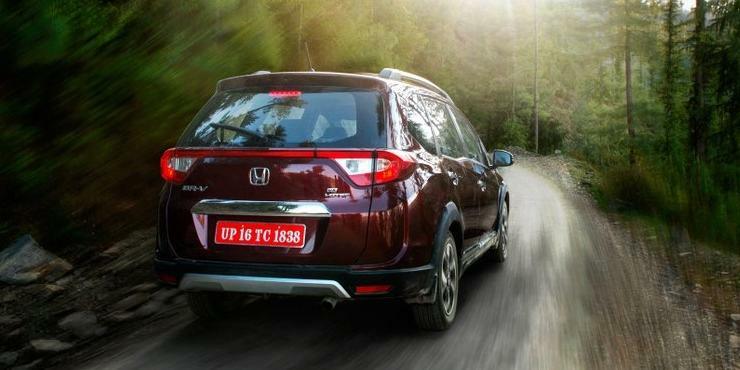 Honda confirms that more than 10,000 bookings have been made for the vehicle already. Engine options for the vehicle include a 1.5-liter petrol and a 1.5-liter diesel unit. Both come mated to 6-speed manual gearboxes, while an optional CVT automatic is available for the former as well — and with paddle shifters it’s also one of its kind. But that’s not all! The BR-V also comes with a 3-year unlimited mileage warranty, which is said to be accepted widely by the prospective buyers. Priced at Rs 8.75 lakh onwards, the BR-V competes with the Renault Duster and more importantly the Hyundai Creta. In terms of sales, the company managed to despatch close to 3,000 units till the end of May.